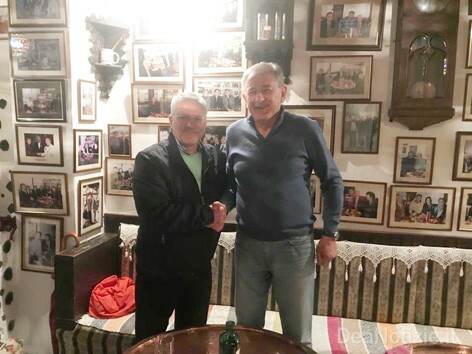 Sarajevo (B&H) As Deputy Director of DEA Notizie monthly cultural magazine during my travelling as reporter I had the pleasure to meet and spend an evening in Sarajevo (Bosina & Herzegovina) on Wednesday, April 10, 2019 with Tarik Hodžić and a few collegues of mine. I want to thank as my “small brother” Ahmet Celik for this opportunity. 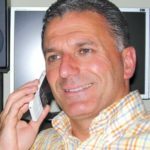 We mentioned many Italian soccer players he met during his career from 1970 to 1987 and I must say that he spoke about them with great respect as Champions do. It was for me like going back to when I was a teenager. We all had dinner and a great evening together. As last I promised to Tarik that when I will go back to Sarajevo next time I will gift he an Italian soccer ball signed from me to him as a souvenir. Tarik Hodžić, born on December 1, 1951, is a former Bosnian-Herzegovinian soccer player in striker position. He started playing with FK Željezničars youth team. In 1970, he signed his first professional contract with the club, but he was loaned out to Famos Hrasnica. He played there for three seasons. After he was the topscorer of Yugoslav second division in 1973 with 28 goals, he then returned to FK Željezničar where he played for two seasons. After that, he played for Olimpija Ljubljana and then moved to Velež Mostar where he spent two seasons. He went abroad and signed with Belgian side RFC de Liège where he was the best goalscorer. This excellent striker then went to Turkey. 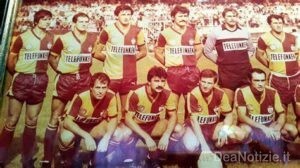 He signed a three-year contract with Galatasaray and he was the topscorer of the Turkish championship in the 1983-1984 season with 16 goals. After three years of playing for this club, he transferred to Sarıyer G.K. in 1984-1985 season. 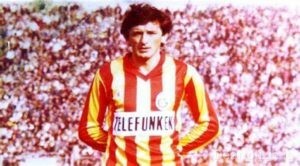 In the 1985-1986 season, he played for Turkish Second Division side Babaeskispor before finishing his career with Bakırköyspor in 1987.